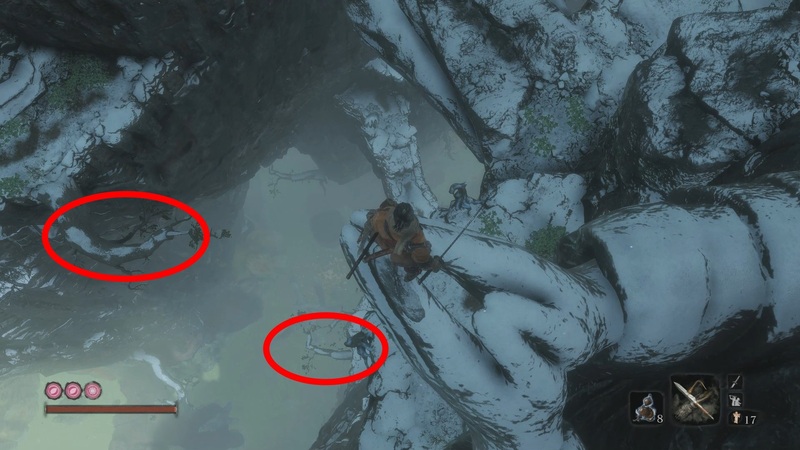 There are a couple of endings for you to get in Sekiro Shadows Die Twice. Each ending has certain requirements for unlocking. One ending requires the Dried Serpent Viscera. 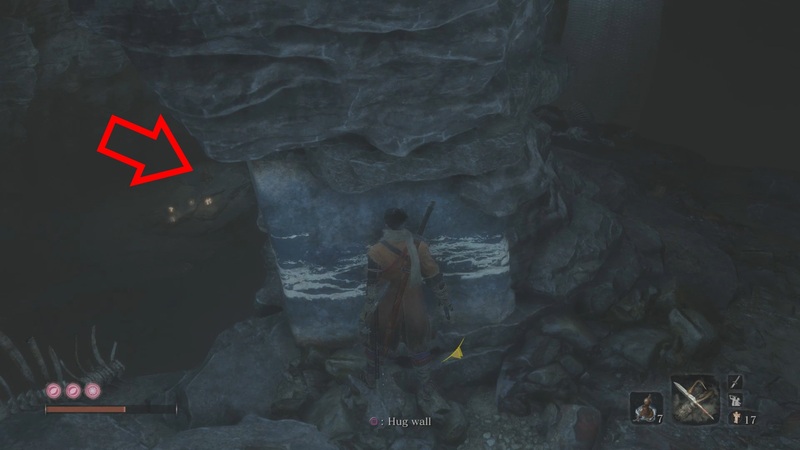 This guide will show you how to get the Dried Serpent Viscera in Sekiro Shadows Die Twice. To start make your way to the Sunken Valley area. I used the Riven Cave Sculptor’s Idol for this, so I will be presenting that as my point of reference. From the Riven Cave make your way forward until you see two huge statues in the valley wall. The statue we want to jump to is the one praying. Hookshot to this statue and stand on the praying hands. Look below and you should see a rock bridge further down in the valley. Drop down towards the tree branches you see below. As you are falling hookshot to the branches on your way down. On ground level look for a large tree stump. 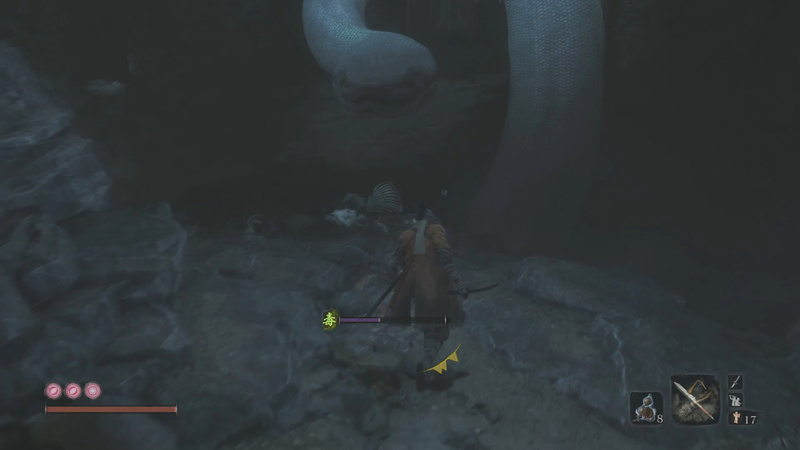 In the poison area you will see a huge tree trunk. Near this tree trunk is the Toxic Memorial Mob merchant. Go past the merchant and into the cave behind him. 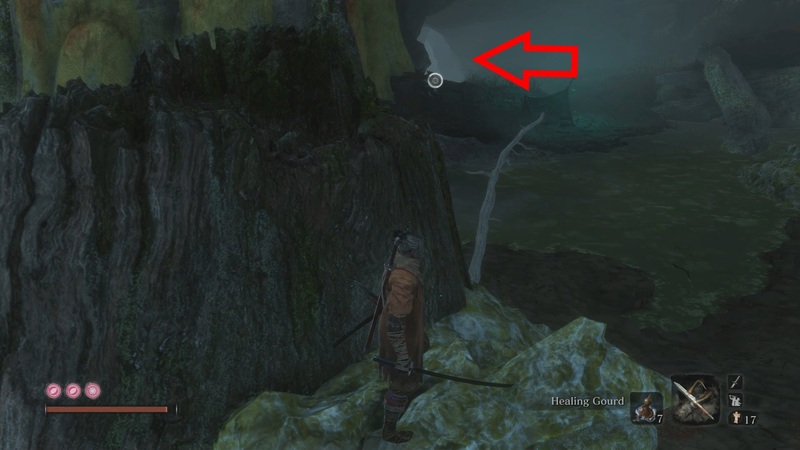 When looking at the snake if you look to the left there is a ledge you can jump to. Jump to the ledge to find a frightened monkey. Backstab the monkey and use your Puppeteer Ninjutsu ability on it (r1/rb after backstab) to cause it to distract the snake. Jump to the area the snake was guarding and head inside. 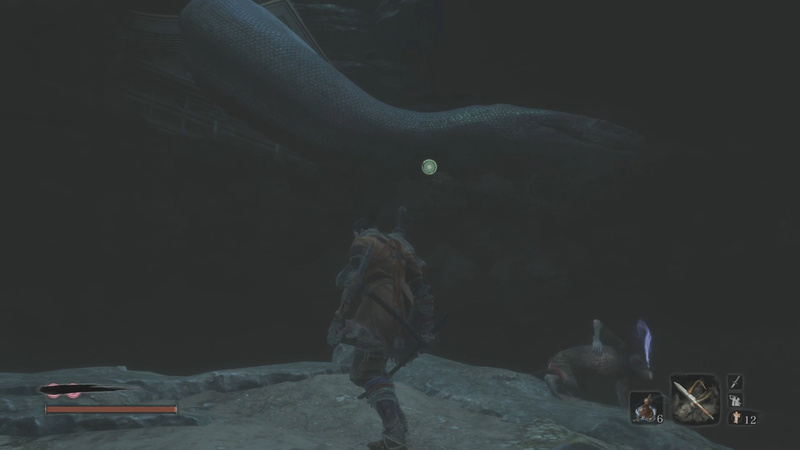 This item is part of the optional ending in Sekiro along with the Fresh Serpent Viscera. You can give it to the Divine Child in the Inner Sanctum as you deliver rice to the different people that request it. 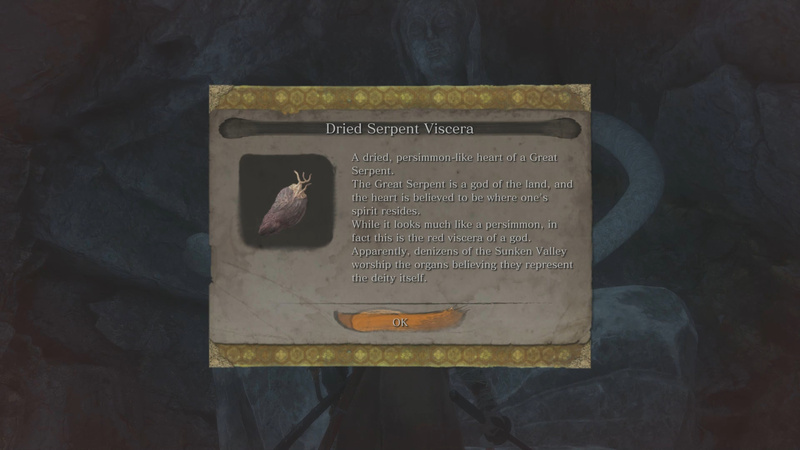 Thoughts on our how to get the Dried Serpent Viscera guide? Drop them in The Pit below.